Dividend America offers a specialized dental practice financing program that features up to 100% financing for qualified borrowers. Our low fees, low interest rates, and streamlined process allows you to get the funding you need quickly and without taking up a lot of your valuable time. Ready to step out on your own and buy a practice? We can help! Our program is designed to provide up to 100% financing with flexible terms to help you get started on the right foot. Do you already have a practice and desire to expand by acquiring one (or more!) additional practices? This is a great way to grow your business quickly or take advantage of an opportunity, but it can be capital-intensive to purchase a well-established practice. Fortunately, we can provide up to 100% the capital you need! We also understand that opportunities don’t last forever and are able to move very quickly to put the funding in place that you need. Need a larger building, or an additional location, to grow your business? We can work with you to build a solution customized to fit your needs without breaking your budget. Refinance and consolidate multiple loans including, for example: student loans, equipment loans, seller financing, purchases of other practices, lines of credit, vendor credit lines, or even business credit card debt. This is a great way to reduce your interest expense while increasing your cash flow at the same time. Ask us how! Is your practice growing to the point where it won’t fit in the space you have any more? Or is it time for an upgrade? We can provide the financing to update a tired office, buy new equipment, or even build additional space to house a growing practice. 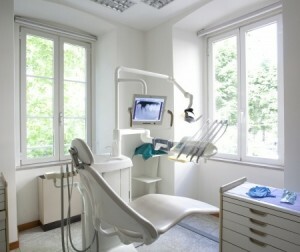 Most dentists start out by renting their office space, which can be a great strategy because it often requires less capital and provides more flexibility as your business grows. However, those advantages come at a cost. If you’ve decided that owning your real estate instead of renting is the right strategy for you, we can offer you some of the most competitive rates and terms available in the marketplace. Our long-term, low interest rate financing programs for dental practices with real estate will allow you to keep your financing costs low, lower your expenses, and improve your cash flow. Do you have a need that you don’t see a solution for here? Contact us! We have numerous programs and strategies for dealing with all kinds of different challenges, whether they be bankruptcies, cash flow challenges, partner estate buyouts, tax issues, etc. We can work with you to put a strategy in place that will address your current issues while setting you up to transition into low-cost permanent financing as soon as possible.